This 19th entry in the Recluce fantasy series, in which two opposite types of magic work—white, which involves the manipulation of chaos, and black, which uses order—begins a new trilogy set on the continent of Candar. Young Beltur, a mediocre white mage, assists his uncle Kaerylt, a powerful white mage. Denardre, the Prefect of Gallos, considers neighboring countries his enemies and decides to raise tariffs to fund a war effort. He orders Wyath, his white arms-mage, to conscript all wizards, whites to wield their destructive chaos magic, blacks as healers. Kaerylt rejects this, so Wyath murders him, while an appalled Beltur hurriedly conceals himself and survives. He’s taken in by Kaerylt’s friend, the black mage Athaal. They make their way to Elparta, where there’s a community of black mages and healers. Beltur learns, to his own astonishment, that although he can work with chaos, his real talents are with order: he’s able to blend both magics, an ability not seen for hundreds of years. He also enjoys a budding romance with young healer Jessyla. But soon enough the Prefect invades with armies and mages, and Beltur cannot refuse to help defend his new home. Once again, Modesitt (Assassin’s Price, 2017 etc.) works all the angles offered by the rock-solid backdrop and the remorseless logic of the dual magic system. He portrays a man whose fundamental goodness arises from a seemingly infallible moral awareness and who, when plunged into misfortune not of his own making, must dig deep within to discover his true self. 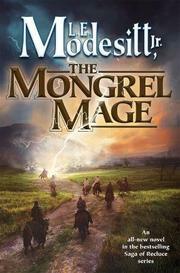 Modesitt’s been doing this sort of thing for many, many books, and no writer does it better. What’s most surprising, perhaps, is that in his hands the formula never grows old. Nothing much new or original, but utterly absorbing and supremely satisfying for all that. MORE BY L.E. MODESITT JR.